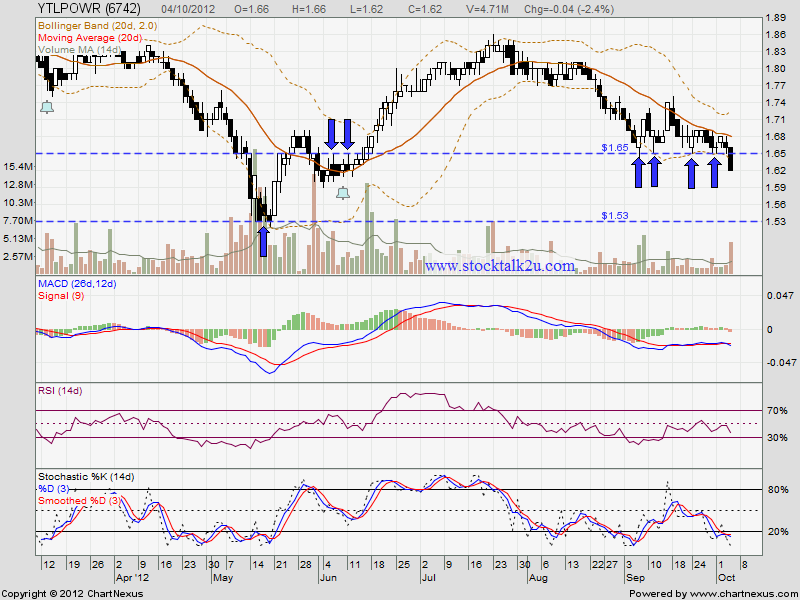 YTLPOWER break down RM1.65 support level. MACD at negative region, downtrend sign. Stochastic %K trigger SELL call. 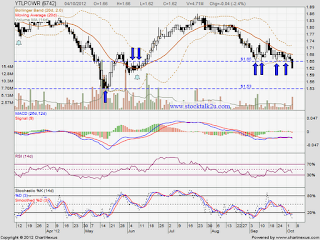 Next support @ RM1.53 level. Subsequent resistance @ MA20 level.